Mixed-used building (Housing, office, retail, hotel) in Éole Évangile. 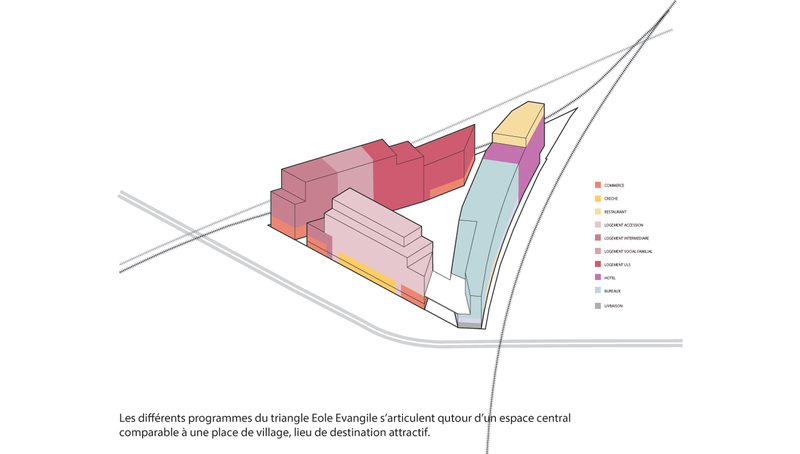 The triangle Éole-Évangile occupy a very particular lot inside the North-East Paris sector and represent a strategic point of transition. Its nearby vicinity is extremely various. 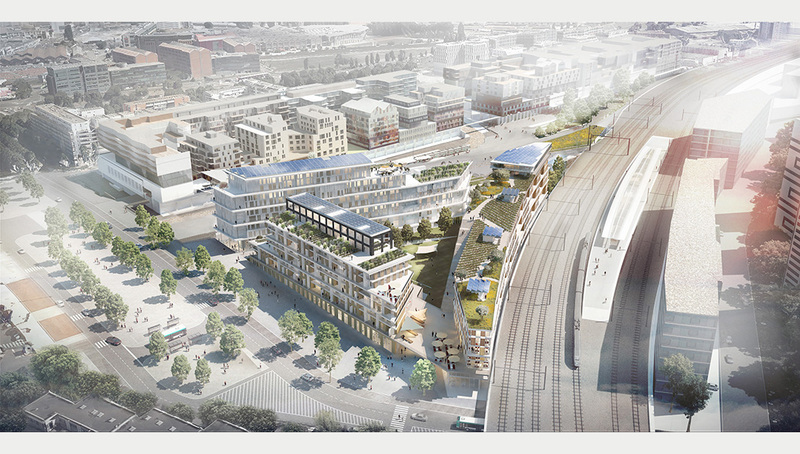 Considering its specific site, its proximity and accessibility, Eole is destined to become a real urban catalysator. 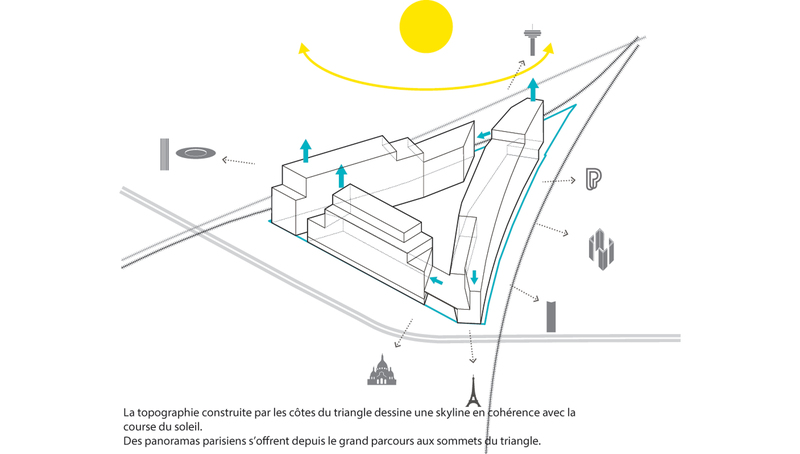 The Haussmanien building, where houses are transformed into offices, the service activity space in commercial spaces, where the maids rooms are grouped to become apartments, and the large bourgeois apartments are intersected to become small studios. The building atelier. The free layout, the height ceiling and generous glazed window typical of this kind of building allowed divers use, and an overlap of activities. Often uses as storage or craft and industrial production. 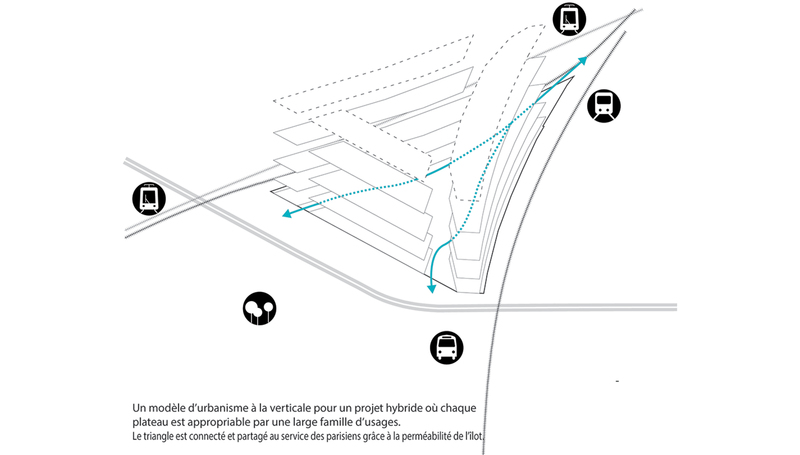 This plasticity has been lost in the standardised and targeted products of the 60’s, when there was a will to split the city in defined program, and to produce building that could respond to one unique function/need. 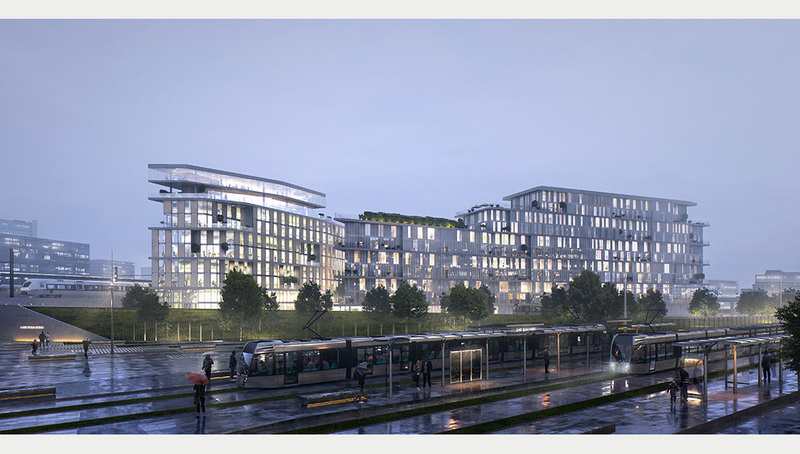 This specialisation has created a segregation between housing district and business district, between social housing and the suburbs. It has contributed to the building of borders and ghettos which today impede the quality of life of our society and its future development. 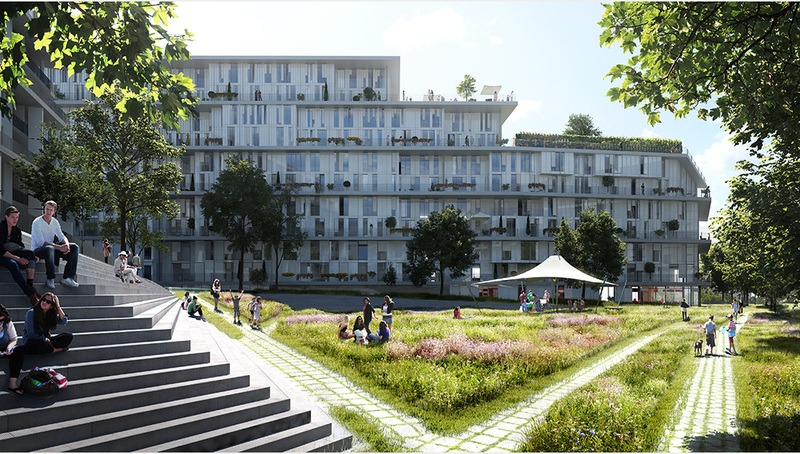 It has generate a urban real estate park that can’t adapt to new applications. 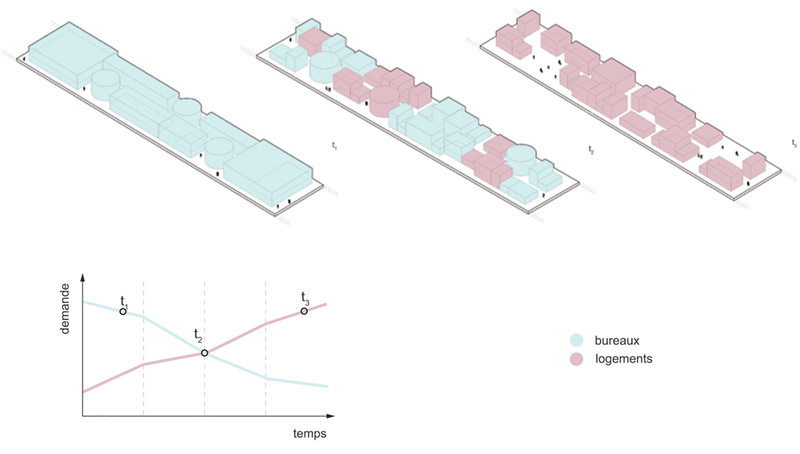 We need to re-invent a typology which could offer the same adaptable plasticity to nowadays urban society: generous in hybrid space, multifunctional, evolving and reversible. Hybrid - today lifestyle is keen on merging private activity, professional or cultural one, all together. 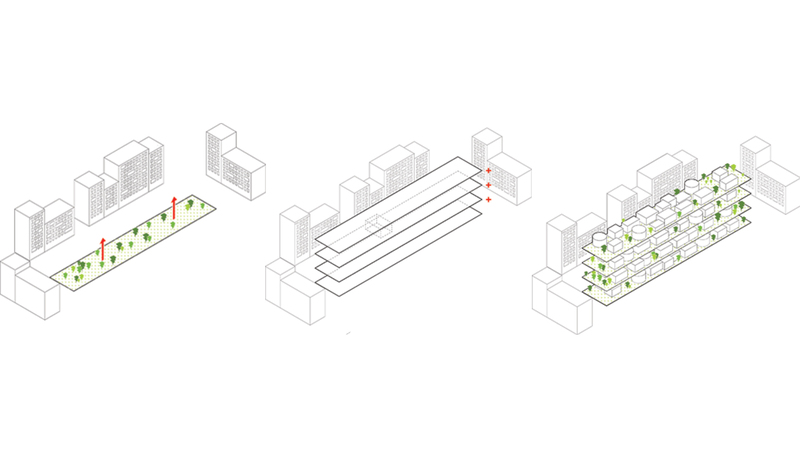 Multifunctional – the creativity of a city can be measure of its ability to bring together the citizens in functions and complementary activities to enrich each other. 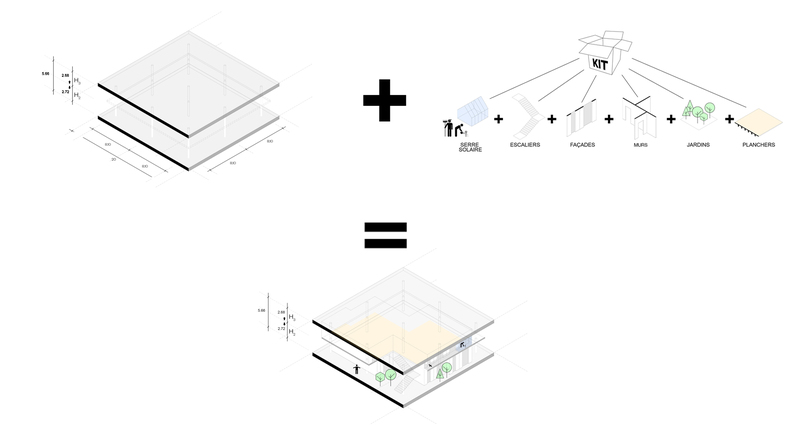 Evolving and reversible to respond quickly to the change of needs of the citizens. 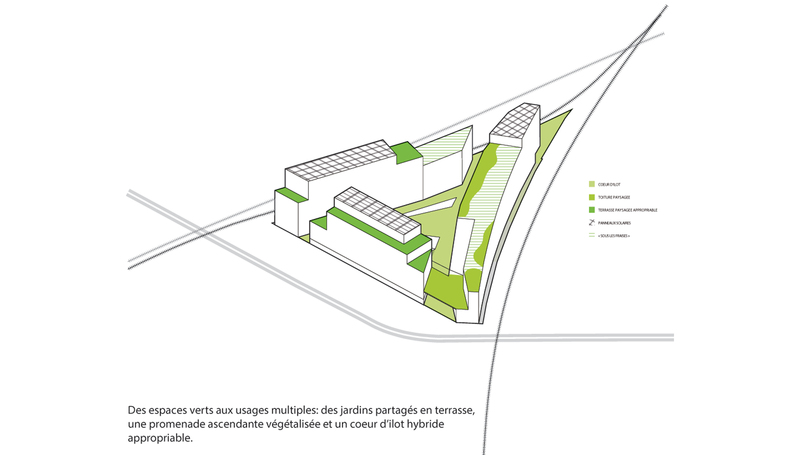 Our « Éole » project is a privileged place to accommodate the need of mixed-use , of adaptability that become necessary to our society and its evolution and to explore a new way to build and to make a building grow. We develop a constructive and comprehensive approach which can accommodate several programs in the same building or a same lot and allows an easy evolution and growth. It will be representative of a logic of program continuity, of rupture or a search of coeducation. What responds to functional needs and social at a given moment and that can evolve, adapt, and transform. 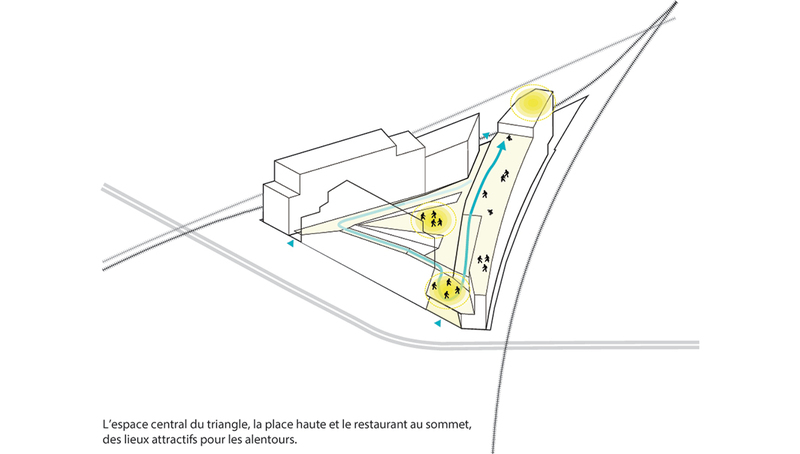 The light facades which allow the appropriation of outer space, the indoor and outdoor facilities. We have imagined a "permanent" frame and developed it as a "kit”. For the development of these volumes of base we preferred light structures and prefabricated systems, made in dry stream (wood or metal) ensuring a quick implementation and a an easy disassembly .